I should have tried it sooner. The appearance was rather deceptive. Not at all self-explanatory like the rest of their offerings. 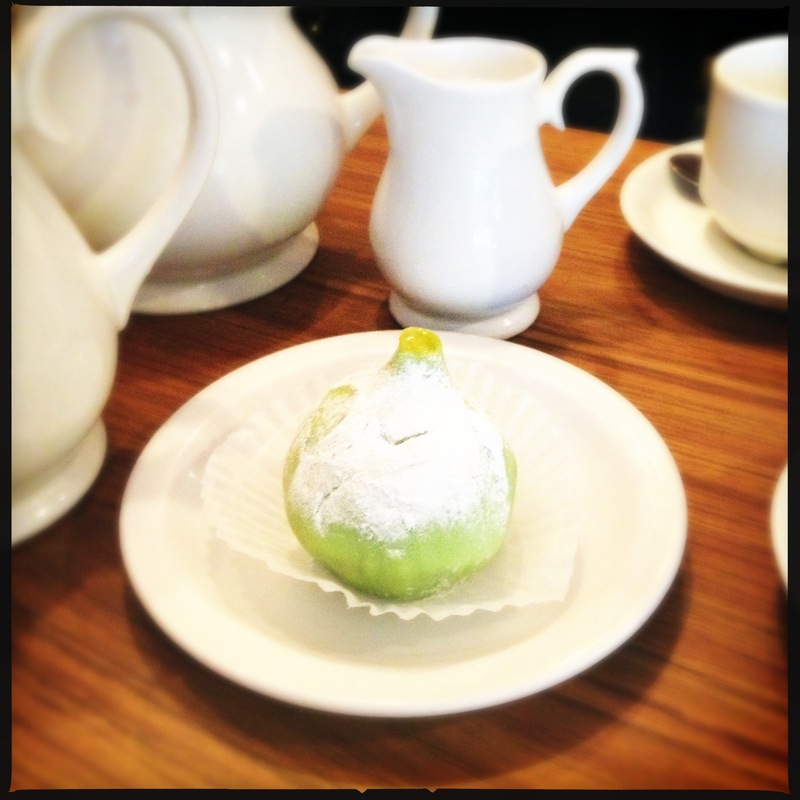 A green “bulb”, dusted with powder sugar and nestled in a cupcake case. There was a slight pang of disappointment when I found no actual fig inside. However, the chocolate truffle filling was exquisite. The right ratio of bitterness vs sweetness made this rich cake moreish. Despite its generous serving size, I did not feel queasy after polishing it off. It was a hidden gem I was overlooking for a long time. And their marzipan, what a pucker! The almond paste was divine. 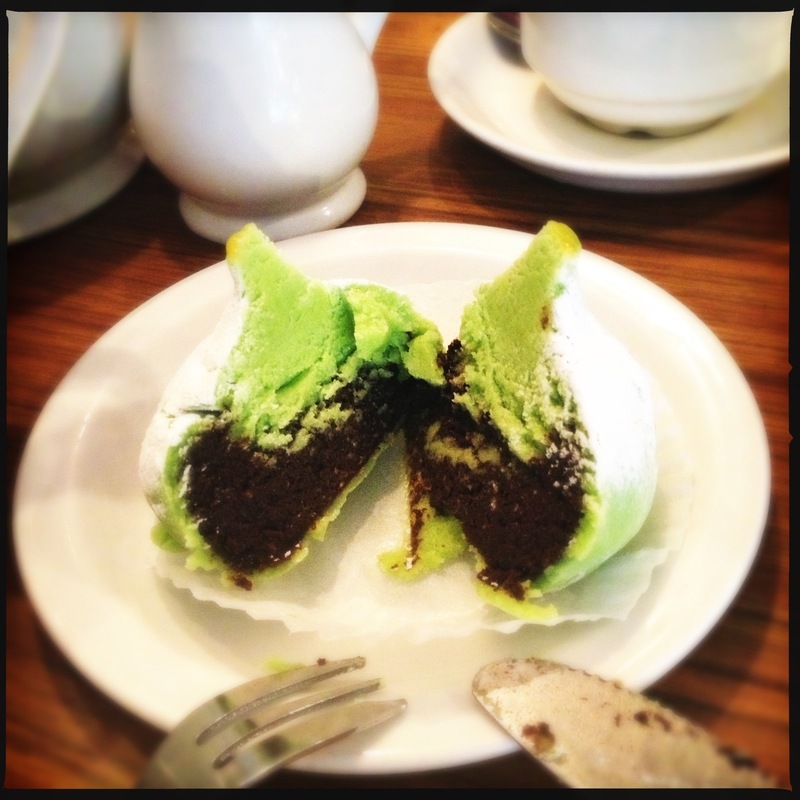 What best describes the magic of this cake… Oh yes, it reminded me the famed Mozartkugel! Ahhhh, I haven’t eaten them for years. I must hunt it down. Does Fortnum & Mason sell them? Or may be Harrods? 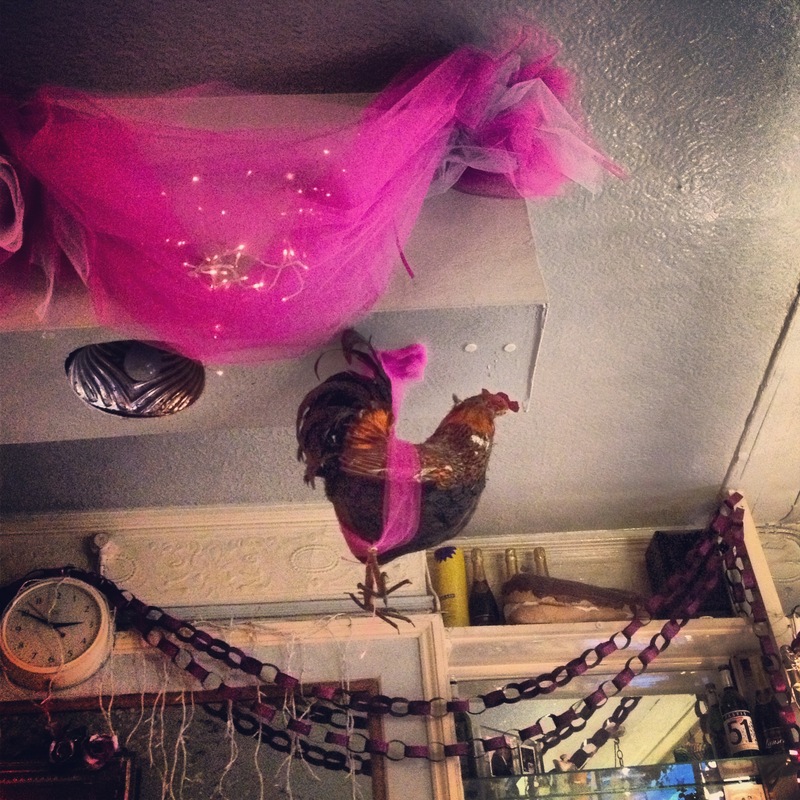 I glanced up and found a cockerel up in the air. Oh, I didn’t notice you. How long have you been up there? 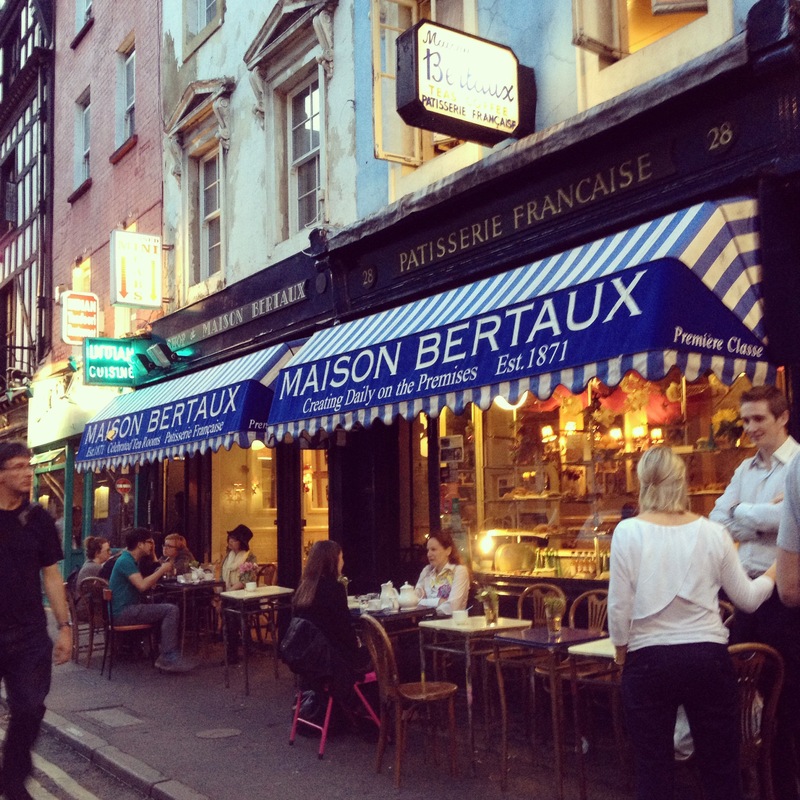 Maison Bertaux, you are a beacon of light in this chaotic city.